Austech Surveillance Pty Ltd has a large range of security alarms to suit home and commercial premises. Each alarm can be tailored to your specific needs. Just talk to our licenced representatives on 08 9250 1100. 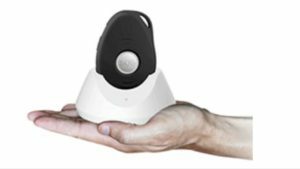 Over 1000 burglaries are committed each week and Austech alarm can provide you with the best possible deterrent to any would be thief. 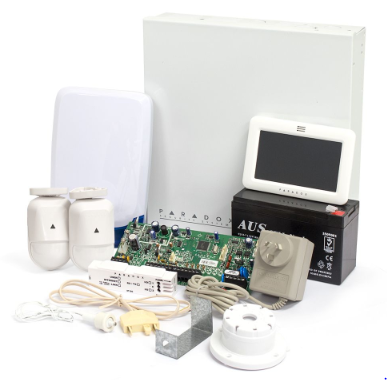 Your home is your sanctuary and an Austech alarm can protect your property. How do robbers get in ? All Austech alarms can be tailored to suit your needs, Alarms are available with 4, 8, 16, 32, and 64 zones. The alarm may be partially armed with all or selected zones. Programmed to call your mobile or designated contact. The Partial zone arming allows you to secure your home while inside. The Stay button allows for perimeter arming. All Austech alarms include stickers and signs advertising that your home or business premises are being ‘watched’. All Austech back to base monitored alarms have access to emergency services like the Police Department. Arming chime button – provides a chime whenever a window or door is opened while the alarm is in ‘stay’ mode. Duress codes allow you to ‘silently’ alert our monitoring station to a possible home invasion. Multiple user codes can be used to determine who set the alarm. Single digit arming which is easy to use, or remotes can be installed (similar to a car alarm). To request a quotation on alarm packages, please call 08 9250 1100 where a licenced Austech Surveillance representative will happily discuss your requirements. *Charges apply to all back-to-base monitoring. MAGELLAN 32-Zone Wireless Transceiver Control Panel. Both models have 32 points of detection which can only be accessed by you and those you give access to. This system is made so that it is 100% user friendly, having the whole system being controlled by the simple touch of a button. With this system you are able to protect two seperate areas while using the one system. This allows you to secure your perimeter whilst in your living room allowing peace of mind. The beauty of these alarm systems is their ability to be completely wireless. This allows you to remotely control your system from your phone or web browser and view your cameras through the app. It also allows you to take your system with you if you decide to more homes. If you would like more information or would like to schedule an appointment, please do not hesitate to give us a call on 1300 737 225 and one of our friendly staff members will be able to help you. Do you need support with your Alarm System? Go to our support page for more.